This bag will be available to order before Spring Ball. Can't encourage new players enough to purchase these bags. You will use them like a traveling locker especially useful for freshman players traveling to practice at CPJH and to camps. 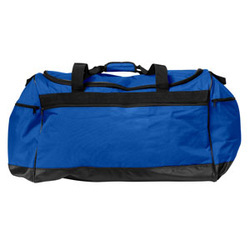 All your football gear will fit in this bag (shoulder pads, helmets, etc.) Players will be able to use their entire football careers at BHS.